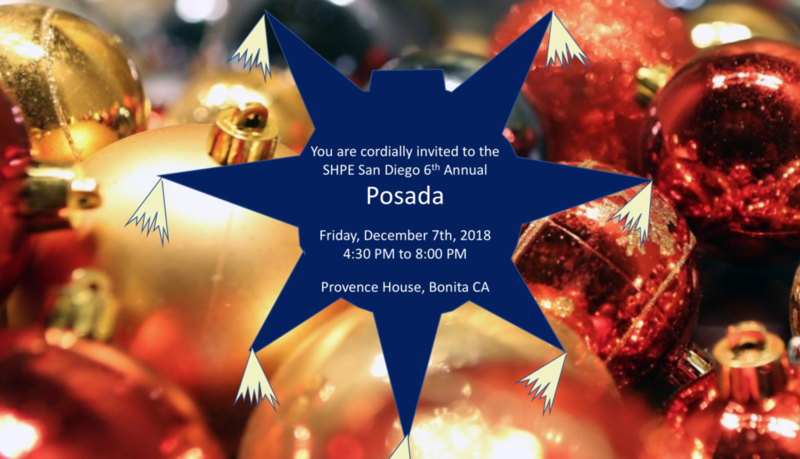 You are cordially invited to join us on Friday, December 7th, 2017, for the SHPE San Diego Annual Posada! Come join the SHPE San Diego Professional Chapter and Student Chapters for our 6th Annual Posada! Celebrate the holidays and enjoy food, drinks, desserts, music, and SHPE! This is a family event so bring your loved ones! Remember, this is a potluck-style event; please use the link below to RSVP and sign up for the potluck!